Andrea Norby is both a theatrical actor/instructor and a dancer. At the University of Wyoming she performed in several plays and continued with her focus on theater, studying with Studio ACT and teaching drama and acting at the Village School in Campbell. Now married with three kids, she continues with her love of both acting and dance. 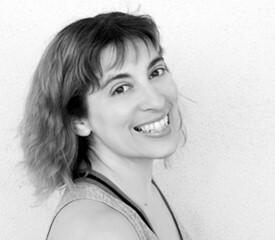 Andrea's dance training and experience are expansive, covering ballet, jazz, tap and hip hop. Andrea has earned the love of students for her non-intimidating teaching style. She aspires to be a great teacher who instructs and guides her students to never settle for less, to dance to their full potential, and of course, have fun!